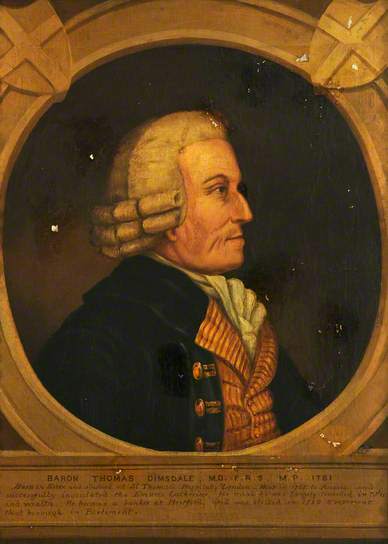 Thomas Dimsdale (born in 1712) was arguably the world’s first biotech entrepreneur. Even before Edward Jenner famously ‘invented’ vaccination in the 1770s, Dimsdale was making money from selling smallpox inoculations. And his customers included Catherine the Great of Russia, whom Dimsdale successfully inoculated in 1769 on a visit to St Petersberg. In return he received not only payment (£10,000 plus £2,000 in expenses), but also a title: he became the first and only British Baron of the Russian Empire, with an associated pension of £500 per annum – a princely sum in the 18th Century. As a piece of history the story of his journey to St Petersberg makes fascinating reading. But it also has surprising relevance for one of the big topics for debate among today’s biotech entrepreneurs: drug pricing. Dimsdale’s pay for inoculating Catherine, her son Grand Duke Paul and around 140 other members of the court translates into around £10million in today’s money. That, in turn equates to almost exactly $84,000 for each course of treatment delivered – the same price Gilead elected to charge for a 12 week course of its own antiviral wonder-drug Solvaldi™. The similarity of these two prices, worlds apart in time and space, with no recognizable similarities in the healthcare systems operating 250 years apart, tells us something important. Both treatments were highly effective against a very dangerous disease, and in the absence of any alternatives the price put on a human life came in at $84,000 (not counting the title and annual pension that Dimsdale also received). The price Gliead elected to charge, therefore, has some kind of historical precedent. A very wealthy individual (for whom availability of cash was essentially unlimited) deemed such a treatment to be worth $84,000. To adopt value-based pricing, that’s exactly the question the state (or insurance providers) need to ask today. The world’s first biotech entrepreneur, then, arguably has more to tell us about drug pricing today than vain (and ultimately pernicious) attempts to somehow link price to cost. DrugBaron was fortunate enough to move house in 2013, and his new abode was surprisingly fitting for a biotech entrepreneur. The house, in Hertfordshire (just north of London) in the UK, had until recently been the ancestral home of the Dimsdale family, with the intriguing title of Barons of Russian Empire – a hereditary title with, it turns out, a fascinating history. The first Baron was Thomas Dimsdale, an English physician and banker born in the early years of the 18th Century. And for an 18th Century physician there was no doubting the number one unmet medical need: smallpox. In the early 1700s smallpox was endemic worldwide (save for Australia and few isolated Pacific islands) and was killing an estimated 400,000 Europeans every year. Fear of the disease, at least among the educated and wealthy classes, was palpable. While the eventual defeat of smallpox only really began in earnest in the 1950s, with concerted international vaccination efforts, the credit for its elimination is often attributed to Edward Jenner, who in the 1790s realized that exposing people to the much milder cowpox allowed them to develop a protective immunity that prevented subsequent infection with the smallpox virus. Indeed, the term vaccination is derived from the Latin, vacca, for cow. But vaccination with cowpox was the second-generation medical intervention. The first generation was inoculation with smallpox itself – a process called variolation after the name of the smallpox virus Variola. Insinuation of virus-containing material in small skin scratches usually induced a mild and local bout of smallpox (in contrast to the systemic disease that invariably results from natural routes of infection), but nonetheless conferred protective immunity. The process of variolation had originated in China, and initially involved inhalation of infected material (usually scabs from natural cases). Inhalation (the natural route of transmission), however, lead in many cases to full-blown, and fatal, infections. Attempts to limit the power of the deliberate infection involved selection of scabs from mild cases as well as use of dried scabs, a process that presumably reduced the titre of live virus. But it was a hit and miss affair with – it seems – many more misses than hits. By the 1720s, when the technique arrived in the English medical community it had been refined considerably. In particular, the shift from inhalation to insinuation into a shallow skin wound had taken place. And it was this process that Thomas Dimsdale set about commercializing. His technique involved the use of a fine, sterile silk thread, which was drawn through the infectious pustules of a carefully chosen individual and then sealed in small glass vials. It was the first vestiges of a manufacturing process as we would recognize it today. A new vial was selected for each recipient, and after scratching their forearms the thread from the vial was drawn through the fresh wound. Those subject to variolation were then quarantined, in just the same way as natural smallpox cases until the mild and localized infection had come and gone (typically a three to four week period). Thus bidden by the Empress Catherine, concerned about the very high death rates among children in Russia, which some reports suggest was above 80% in this period, Thomas Dimsdale and his son made the journey to St Petersberg with enough vials to inoculate the entire court. The dubious safety record of variolation is underlined by the precautions both Dimsadale and his royal host had to undertake. For Dimsdale’s part, he insisted that he should test the process on the courtiers before the Empress herself – although Catherine refused this and instructed him to treat her first, and then following a successful outcome, to treat her son. But she was keen to protect Dimsdale from the wrath of the people had something gone awry, and Catherine made available a train of swift horses to spirit Dimsdale and his son from the country in the event of the worst outcome – for Catherine recognized it was her decision alone to take the risk of the procedure. The idea that the patient should bear even a modicum of responsibility for their own treatment choices is perhaps another lesson from history for contemporary medicine. But the worst did not happen. The procedure was a success, both in terms of safety and – as far as one can tell – in terms of efficacy, as the court of the Empress remained free from the endemic smallpox scourge. Dimsdale returned home a rich, and enobled, man and in later life sat as an MP for Hertford in two parliaments in the late 18th Century, before his death in 1800. That his portrait (left) lies gathering dust in the vaults of the Wellcome History of Science Archive, while the name of Edward Jenner is known to every schoolboy, is perhaps attributing rather greater prominence to Jenner’s contribution to a long and complex development process than is warranted. He made the variolation procedure safer by replacing what was, in effect, an attenuated smallpox vaccine with a cowpox vaccine, but the concept and refinement of variolation itself had already been evolving for almost three centuries. Many others contributed along the way, including Thomas Dimsdale. A modern parallel may be the dominance of Lipitor™ atorvastatin in a market that began with the discovery that red rice yeast extract could lower LDL cholesterol more than three decades prior to the approval and launch of Lipitor™. History will likely remember the pharmaceutical products rather than the “first generation” yeast extracts, which (like variolation) dated back to centuries old Chinese medicines. But this story is more than a little-known historical cameo. It is also a useful precedent in the modern debate on drug pricing, and in particular on the morality of charging high prices for effective medicines. The pricing challenge arises because of the way we incentivize innovation: through the issue of patents that deliver temporary market exclusivity for a new product. In the absence of a market, the patent holder is free to set whatever price he deems appropriate. In reality, though, market forces usually still operate to a degree. While the market exclusivity covers the new product, there are usually alternative treatment available and the premium the new product command is related to the degree of clinical superiority it shows. Occasionally (perhaps too infrequently), the industry throws up a new product whose margin of superiority is so large that it can command an entirely new level of pricing (rather than simply a premium over the price of existing alternatives). Recently, this has happened most often in the rare diseases space, where newly approved therapeutics are both highly effective and the only alternative available. This has led to some eye-watering prices, such as for Soliris™ anti-C5a from Alexion for the treatment of PNH, which costs $400,000 a year for each patient treated. As the flow of ultra-high price drugs has grown from a trickle into a steady stream, the dissatisfaction with the pricing model has grown from a feint rumble to a roar. And the approval of Sovaldi™, Gilead’s new combination therapy for hepatitis C virus (HCV) has triggered an avalanche, not because the price ($84,000 for a 12-week course that achieves a 95% cure rate) is the highest ever, but because of the sheer number of patients who would benefit, making the total cost to the healthcare providers simply gigantic. Most worryingly, politicians are joining the battle, amplifying and deflecting public opinion onto the drug companies in a misguided attempt to force prices lower. Getting it right matters a great deal. Paying too much is bad for the public accounts; but paying too little results in an the loss of incentive to innovate. With such penalties associated with getting it wrong, its amazing how little attention is given to the framework that is used to set prices in these circumstances. The framework is (or should be) value-based pricing. In other words, the amount the purchaser is prepared to pay for a drug should relate to its value to them. The alternative is cost-plus pricing, which many outside the industry believe would yield lower prices for important drugs. The difficulty with both alternative frameworks is the nebulous definition of value in the absence of market forces as well as the nebulous definition of the ‘plus’ in ‘cost-plus’. The ‘plus’ would supposedly cover the cost of discovery and development, rather than just the base cost of manufacture, and therefore provide at least some incentive to innovate. But if the cost of actually discovering and developing the particular product in question is difficult to calculate, that is dwarfed by the need to cover the costs of multitude unsuccessful projects that are an essential by-product of the innovation process. But paying cost-plus (even if it could be calculated) creates a huge moral hazard. In a cost-plus world, there is no incentive at all to keep R&D productivity high, since the higher the costs of the innovation process, the higher the eventual price of the successful products. Inefficiency is rewarded. And so too would be mediocre output, since the cost-plus formula takes no account of the efficacy advantage associated with a new product launch. In reality, its hard to believe that even those that have advocated some kind of cost-plus model would be very happy with its operation in the majority of cases. Though no-one has enunciated it, yet, this clearly, it seems the protesters want to have their cake and eat it: their true position is something like “drugs should be priced at the lower of value-based and cost-plus pricing”. And that’s where the Thomas Dimsdale episode is interesting. Converting Dimsdale’s pay from 1769 money to the present day, based on Bank of England estimates of retail place inflation over the intervening two and a half centuries, equates it to £10million for treating around 140 individuals. Converting to dollars at today’s exchange rate that sum in turn equates to almost exactly $84,000 for each course of treatment – the same price as Sovaldi™. How can this equation, across half the world and a quarter of a millennium, be anything other than chance? Of course, the almost exact congruence is chance – but the figures are in the same ball-park for a very real reason: they reflect independent assessments of the value of a drug that prevents or cures a life-threatening viral illness. Ironically, assessing value is harder today than it was in Catherine’s time. Because healthcare is paid for through complex financial instruments that attempt to equalize the cost of treating different people, with very different treatment demands, across society, there is no one-to-one relationship between buyer and seller. By contrast, there was very simple relationship between Catherine as consumer and Dimsdale as healthcare provider. Like the modern nation state, which is the ultimate payer for most healthcare in Western countries, Catherine had access to a very large but not infinite pool of resources and was faced with the question how much Dimsdale’s variolation treatment was worth to her and her family. And the answer to that very simple assessment of value-based pricing turns out to be remarkably similar to Gilead’s no-doubt complex modeling calculations. Drug pricing in a monopoly situation is a fiendishly challenging problem. Getting it right really matters because the price paid is ultimately the only incentive for investment in innovation. Too often, the pharma industry has been chided for the incremental efficacy its premium-priced products have delivered. In Solvadi™ and many of the recently-approved rare disease drugs, we have genuine step changes in clinical efficacy – delivery of value that should be rewarded in the same way Catherine rewarded the 18th Century biotech entrepreneur Thomas Dimsdale. After all, on the timescale of centuries, today’s high-priced innovations will be available for all time as generics at a price close to the cost of manufacture in little more than a blink of an eye.